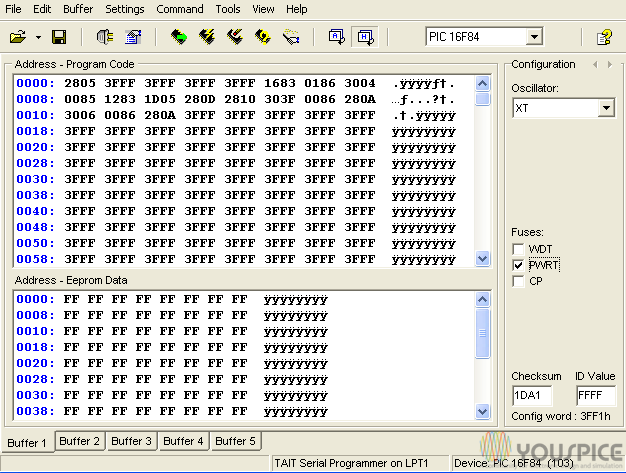 SPICE simulation of a complete PIC Programmer board that implements a classic tait serial programmer through a DB25 connector to the parallel port of a PC. 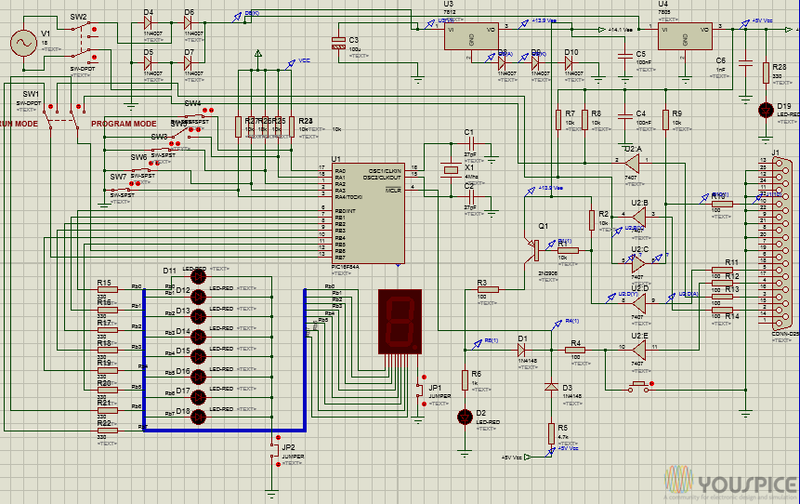 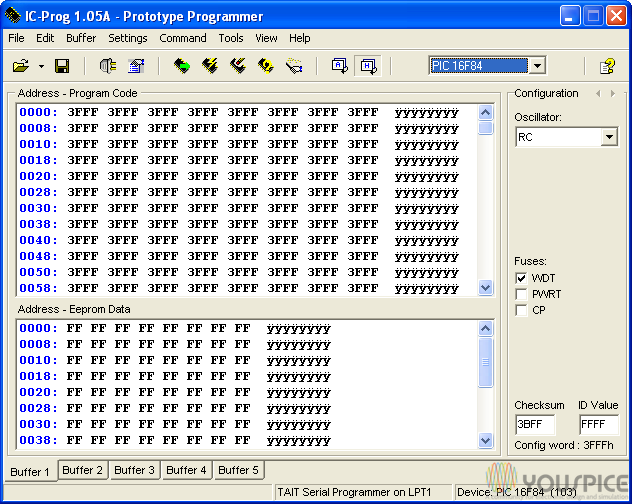 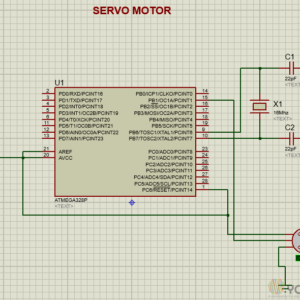 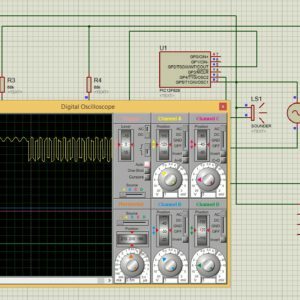 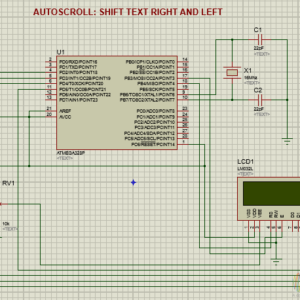 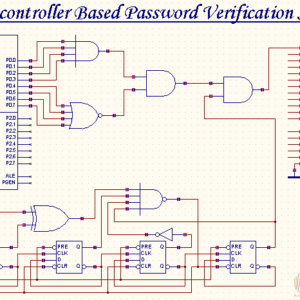 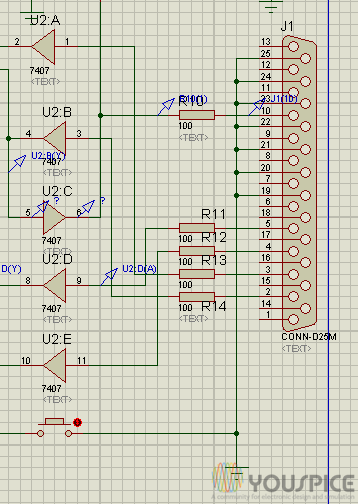 The complete schematic simulates the behavior of a PIC 16F84 already programmed. 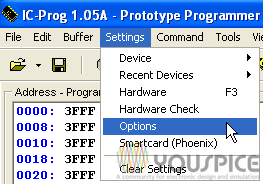 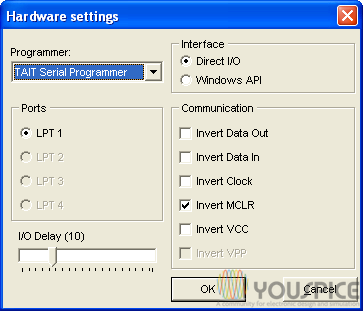 The real board has been tested with the version 1.05A of IC-PROG software, the driver for NT/2000 available free to download to IC-PROG site, and Windows Xp OS.